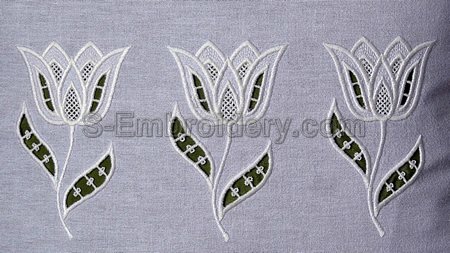 A nice tulip machine embroidery design in cutwork lace technique. 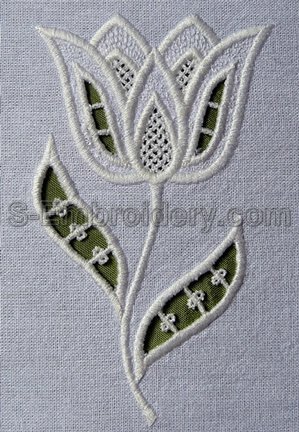 You can use this cutwork lace flower embroidery to decorate your embroidery projects. 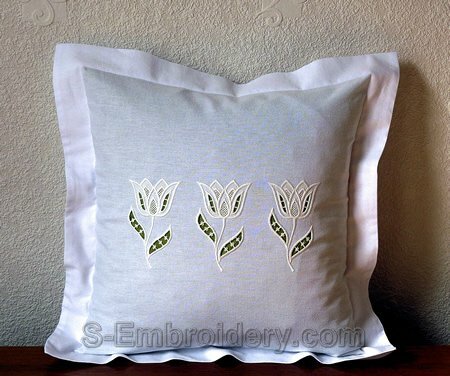 On the detailed images below we have some suggestions on how to arrange the lace tulips. If you are new to cutwork lace, you may want to have a look at our tutorial ( Click here for Cutwork lace embroidery tutorial ).